This class if perfect for kids who love baking and have a passion for Great British Bake Off. 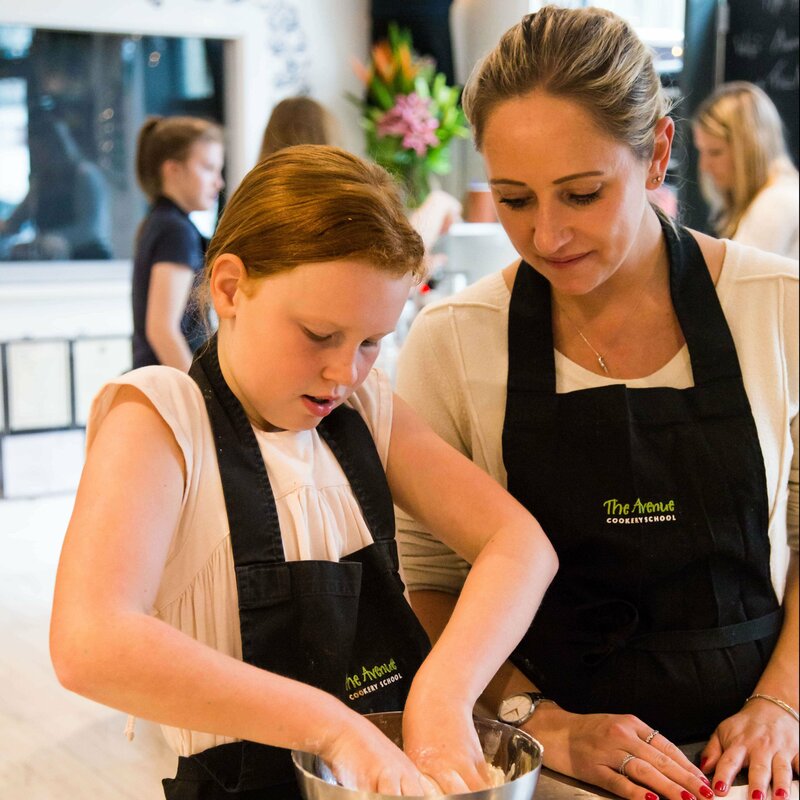 Whether you are looking for a baking family session where you come together, or you want to treat your child to a fun baking class, this lighthearted competition will get those baking skills flowing in true Bake Off style! The class will begin with a demonstration of the perfect Victoria Sponge and how you can adapt this classic cake into a flavour-filled bake! Having learnt some useful tips and tricks to help you with you in creating your masterpiece, you will begin your bake in pairs (or trio, if booked together). Following the basic Victoria Sponge recipe, you will be given a number of different ingredients in order to adjust and decorate, to your very own styled cakes, in order to impress the chef … on your marks, get set, bake! With the kitchen filling with the buzz of competition and delicious sweet smells, the chefs will go around to keep an eye on what is going on and giving tips as they go. While the cakes are baking and cooling you will whip out some deliciously sweet Shortbread and then…its time to continue with your creative genius and work on your decorations. Cakes cooled, decorations made – now to putting it together! Aaaand stop! !, times up! Once judgement is made on the best decorated cakes, the winning pair/trio will be awarded with a winning certificate and everyone, with a box-full of Hummingbird worthy bakes, will head home to indulge in your goodies!